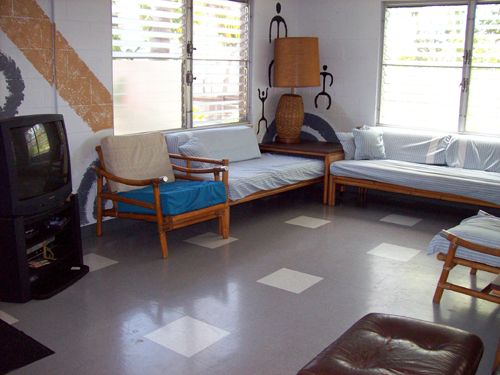 Located in a quiet residential area, the HI-Honolulu hostel provides a nice alternative away from the tourist hotspots on the island. 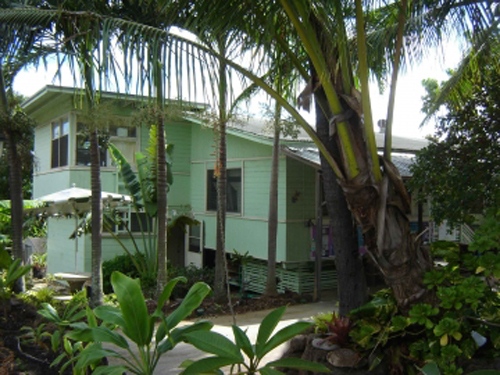 Situated in lower Manoa Valley, our hostel is near hiking trails, the University of Hawaii, and is only a short bus ride from Waikiki and downtown Honolulu. 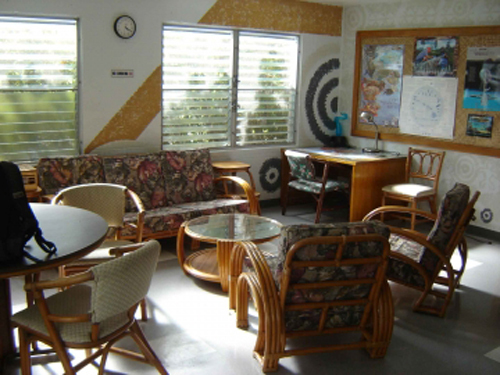 The hostel itself contains separate male and female dormitory style accommodation with shared bathrooms and showers. Other amenities include a couple of private rooms, a fully equipped self-service kitchen, on-site laundry facility, Internet access, and a TV and lounge area. Note: for private rooms, call the office directly for availability. Hostelling International is a non-profit membership based organization, promoting peace through hostelling since 1909. Non-members will be asked to pay a $3 non-membership fee per night upon check-in. Membership cards are available at Reception. All rates include taxes. Stop by Reception to meet our friendly staff and to learn more about the hostel facilities and local activities. Reception is open between 8am - 12 noon and 4pm - 12 midnight. Guests must check-out by 11am. Guests may check-in anytime during office hours. If you arrive before your bed is available, you may store your bags at the hostel. Arrangements can be made for arrivals after midnight. Each guest must show a government issued photo ID to check-in. The maximum length of stay is 7 nights during a six-month period. Limited food and miscellaneous items (e.g. padlocks, toothbrushes) are available for purchase from Reception. H1 East to exit 24B. Turn uphill on University Ave. Go straight through Dole St, Metcalf St, and turn left onto Seaview Ave.
City bus #19 or #20 to Ala Moana Shopping Center then transfer to #A (CityExpress! UH MANOA). Get off bus at University bus stop and walk north on University Ave, turn left on Seaview Ave. TheBus is $2.50 per ride anywhere on the island (including one free transfer). Weekly and monthly passes are available. Note: Only small backpacks allowed on the city bus. + What is a hostel? A hostel is a good quality budget accommodation that offers a comfortable night's sleep in friendly surroundings at an affordable price. Hostels provide the perfect way to get to know a location at a low cost and you will meet with many other people who share your love of traveling. + What are shared accommodations? 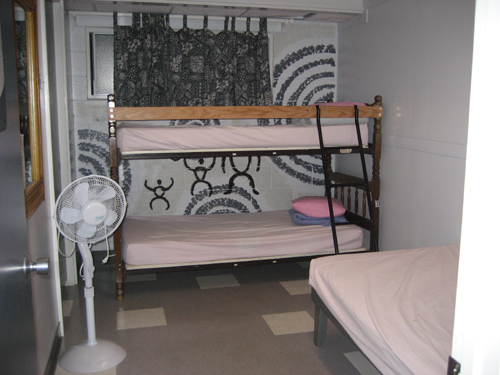 The rooms are bunk-bed style, so you will be sharing your room with other hostellers. Your room will have 6 beds. 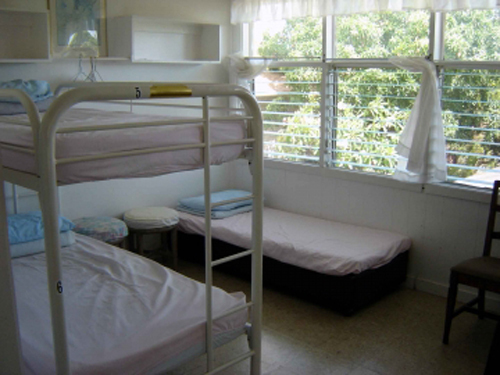 We do not have co-ed rooms, only separate dormitories for females and males. + How can I reserve a bed? Making a reservation is simple. You can reserve online or by phone. In order to make a reservation, you need a valid Visa, MasterCard or American Express. Reservations are always recommended. For reservations, go to our Book Now page. + Am I charged at the time of reservation? No, a credit card guarantees your reservation. Payment is taken at check-in. + How many nights may I stay at the hostel? In order to make space for other hostellers, there is a maximum length of stay of 7 nights within any six-month period. + What do I need to check-in? Each guest must have a government issued photo ID such as a passport, driver's license, state/provincial or national identity card. Incoming and outgoing plane tickets also need to be shown on arrival (electronic tickets are acceptable as well). Hostelling International membership cards are required for member discounts. Unfortunately we cannot accept ISIC cards, college, school and university IDs. + What if I'm not a member? No problem. You can always buy a membership online. Or you can purchase a membership card at the hostel, or choose to pay the temporary membership fee of an additional $3.00 per night. + What time do I check-in and check-out? Guests may check-in at HI-Honolulu anytime during office hours. If you arrive before your bed is available, you may store your bags at the hostel. Arrangements can be made for arrivals after midnight. + I have a late flight and I was wondering if you have a place I could store my bags after checking out at 11am? 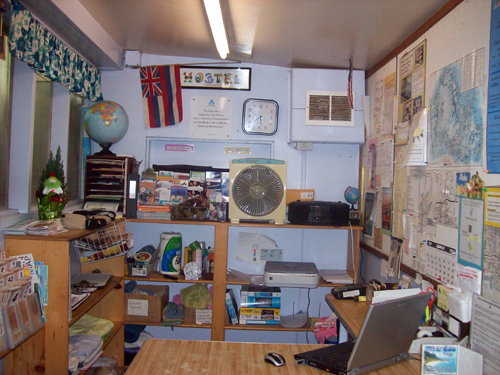 HI-Honolulu has a small day fee that includes access to the hostel facilities and bathrooms for the day. + Is there somewhere safe I can leave my possessions? We provide small lockers for use, but you must bring your own padlock. + Do I need a sleeping bag? We include the cost of all bed linen in the overnight fee. We do not allow the use of sleeping bags in our dormitories. + Do I need to bring my own towel? No, you will be provided a towel, pillowcase and sleepsheet during your stay with us. Cancellations require 48 hour notice. You will be charged for the first night if you do not arrive or call in advance to cancel. No, but we have a fully equipped, self-catering kitchen. Supermarkets/grocery stores are nearby. HI-Honolulu has 3 parking stalls for free. + Do you have laundry facilities? HI-Honolulu has on-site coin laundry facilities. Soap is available for purchase also. Our mission: "To help all, especially the young, gain a greater understanding of the world and its people through hostelling"